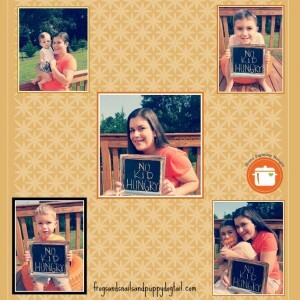 Last year Jennifer from The Good Long Road and Stacy from Kids Stuff World introduced me to No Kid Hungry. Once hearing what the girls had to say about them and the cause they support, I was happy to join forces with them to help bring awareness to hunger. 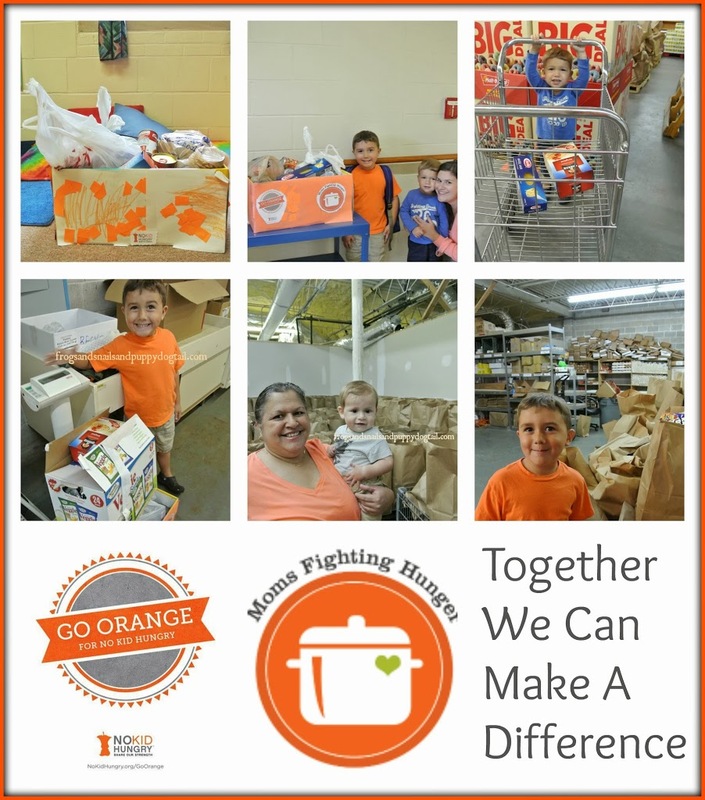 This month (September) is hunger awareness month and Moms Fighting Hunger is going orange for the month to help support this cause. 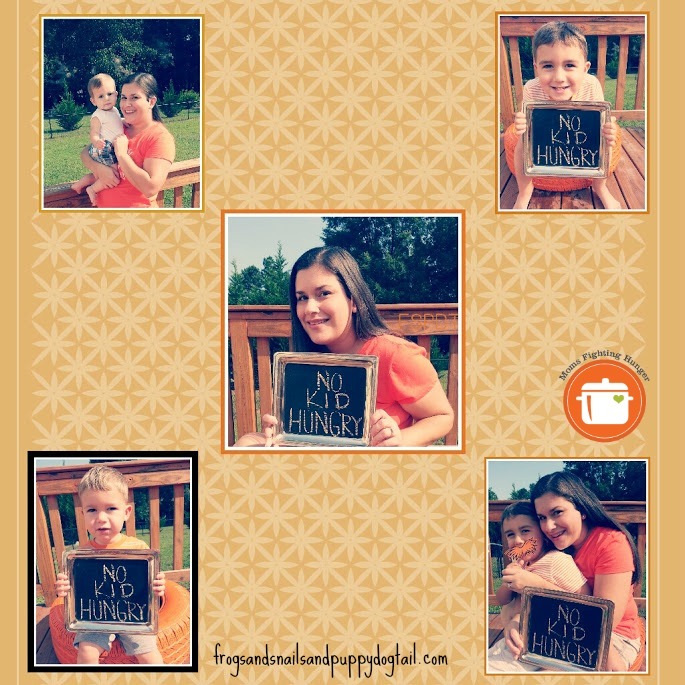 In addition, us moms are trying to find ways to help out by donations to our local food pantry and various other organizations to help fight hunger. Last year I did a simple post on how my son and I made a food donation to our local food pantry. This year I wanted to keep my efforts on our local food pantry but I also wanted to step it up a little. I reached out to my son’s teacher and the director of his school. I pitched a mini can food drive for my son’s preschool class. 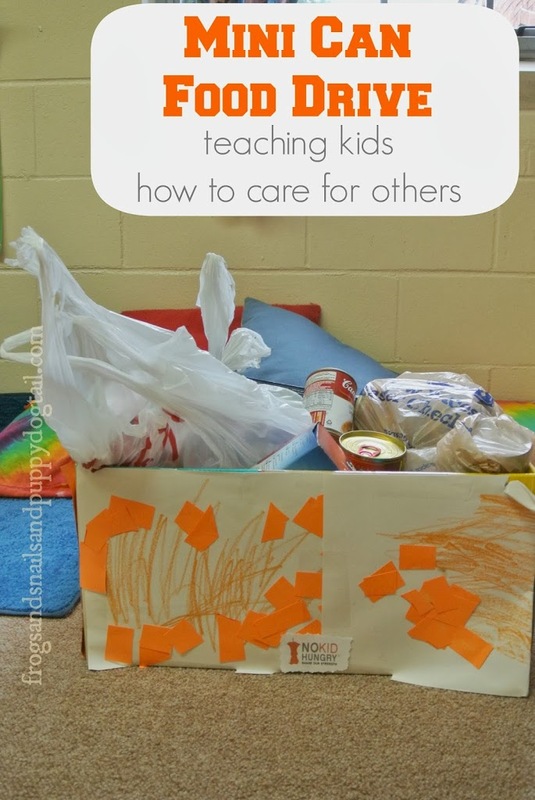 I wanted to try and help instill in these young children a desire to help others and let them know that even they could help make a difference. It was approved for me to go ahead with the mini can drive and both the teacher and director were excited to help out with the cause. I am even going to help with the school wide can drive that was being brainstormed for November. I am looking forward to this too. Got it approved by school director and class teacher. Had my kids decorate a box to be filled. 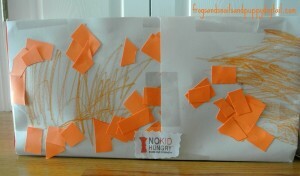 Went and talked to the preschool class a little on the color orange, hunger, and how we can help others. Left the box with them in class and asked that they fill it in 2 weeks. 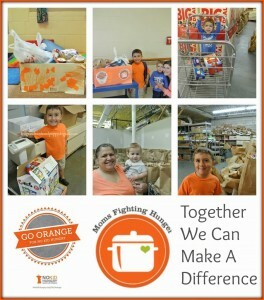 Promised an all orange party for a full box to donate to the local food pantry. Take food to be delivered. I do believe that every little effort we take makes a huge difference in someone else’s life. 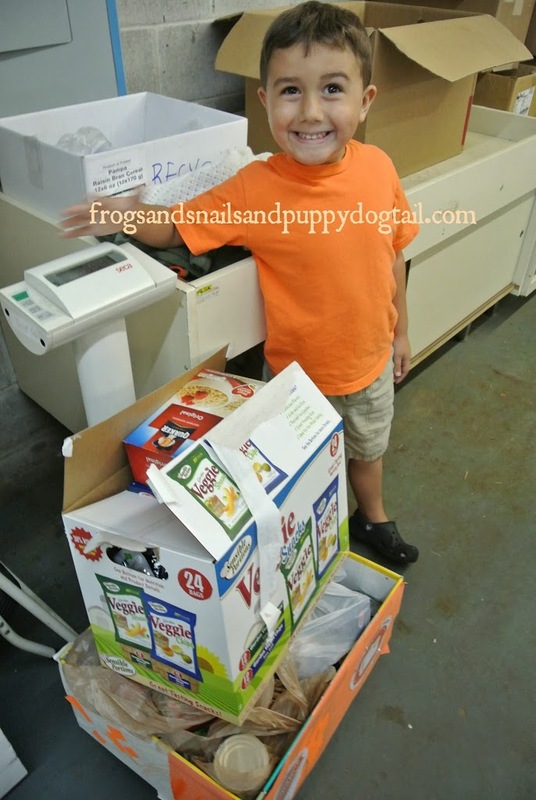 My mini can food drive may not have brought thousands of dollars in donations to organizations, but it did help a few more boys and girls have lunch, dinner ,snacks,etc. To me, that is worth all my time and commitment to this cause. And I am so thankful to all those that participated in this mini can food drive. 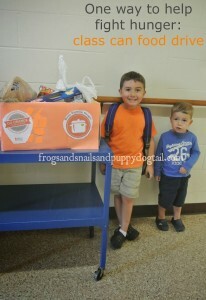 I am truly proud of the children for helping to feed others like them. I love the Dr. Seuss quote ” A person’s a person, no matter how small.” Because no matter how small our children are they can help make a difference in other peoples lives.